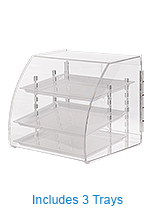 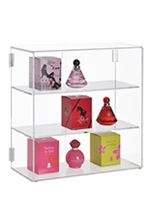 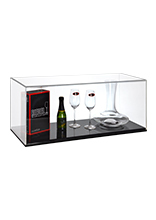 Acrylic Countertop Display Cases offer Different Sizes at Low-Prices! 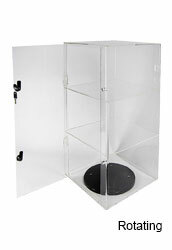 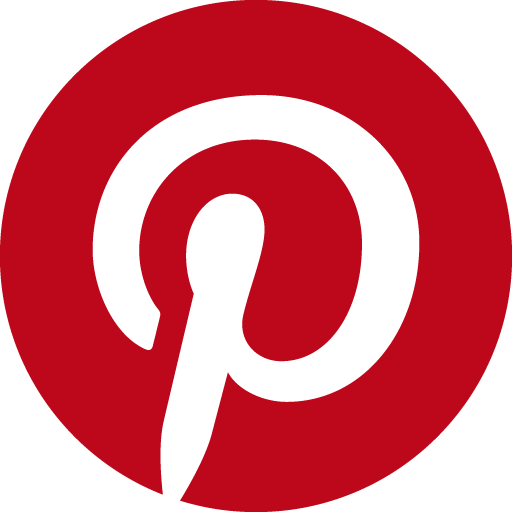 In need of cheap countertop acrylic display cases that will also last for years to come? 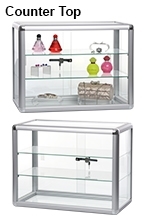 Then our selection of quality counter showcases is exactly what you are looking for! 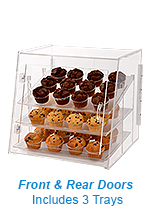 These plastic retail fixtures come in different sizes that allow you to display a variety of items in your retail store or around your home! 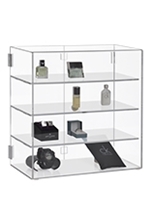 Each display features clear acrylic (with the thickness listed on each page) to make seeing the displayed items easy. 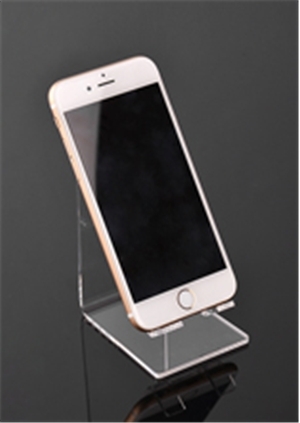 The tabletop displays offers the visual appeal of glass but at a lower cost and made of more durable materials that will look great at your location for years to come. 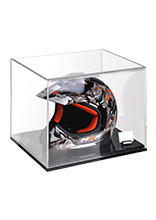 There are different sizes of countertop displays to choose from, including those designed to hold footy balls, cricket balls, and a general use case that can hold collectibles. 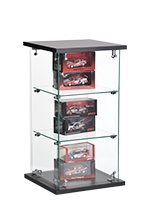 A product riser to raise your item sports memorabilia is included with each item, and the raised platform really helps show off your items. 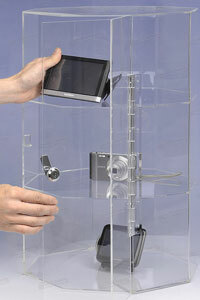 All the showcases can be used to display jewellry at a shop as well. 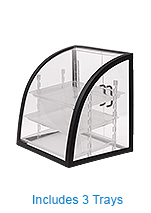 In addition to the single tier countertop acrylic display cases, we also offer multiple tier versions that are perfect for retail use. 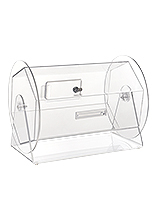 The tabletop plastic showcases have three tiers to place items, with each level having a see-through bottom as well to provide a full view of the items. 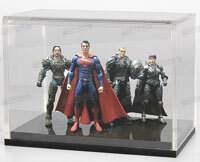 All the display cases are easy to access, making placing collectibles inside or removing merchandise easy. 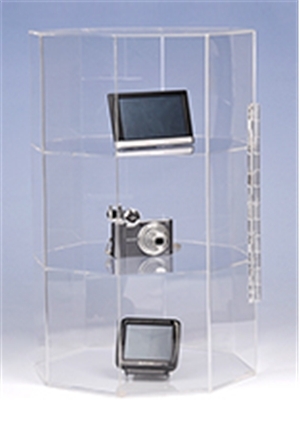 The tiered versions are also lockable, helping to prevent theft of items whilst on display in public areas without having to keep a constant eye on merchandise. 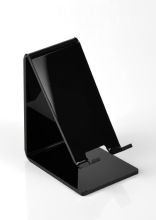 One of the displays has a rotating base as well, allowing customers or employees to easily show all sides of items inside the fixture. 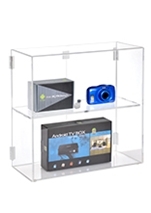 Order one of these displays today to provide your business with a stylish way to present items to customers, or in order to show off your valued collectibles around your home or office! 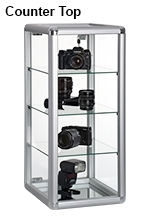 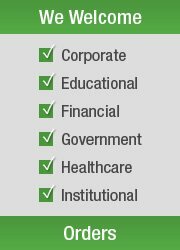 Click here to see our entire range of products, with a wide selection available with different styles in all categories so your business can find the right one to fulfill your needs. 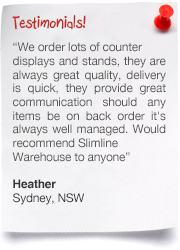 Our merchandising team is always on the look out for new items to add to our online catalogue to offer customers the latest in technologies, trends and styles. 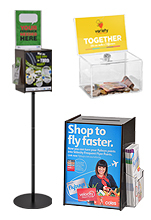 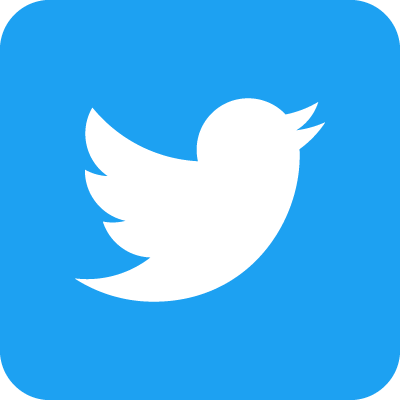 Our wide ranging group of products can help you promote your company and services, give customers access to merchandise easily, and even provide your school with essential classroom items. 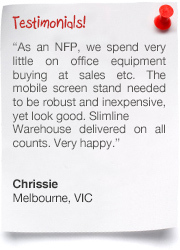 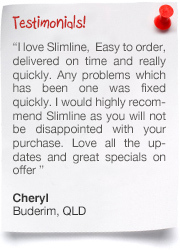 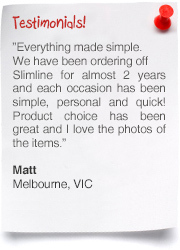 Slimline Warehouse has been a leading provider of all things POP, POS, retail, & exhibition for over 20 years, amassing a loyal customer base who always return to see the latest in wares that we are offering. 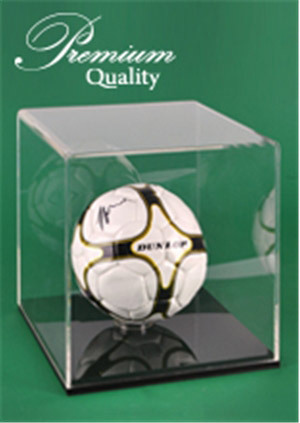 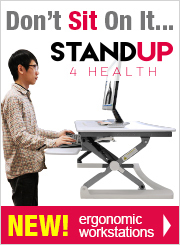 All items are checked out for quality assurance prior to being offered for sale in order to provide customers with long lasting products that will last for years to come. 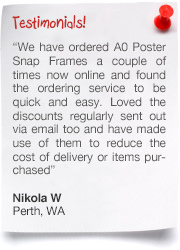 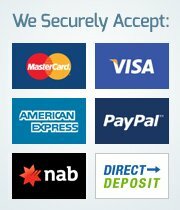 Orders made by 1pm EST despatch same day to anywhere in Australia when in stock with most products, including to Geelong, Toowoomba, Melbourne, Sydney, Canberra, Brisbane, Cairns, Townsville, Perth, Darwin, Adelaide, Alice Springs, & Hobart!